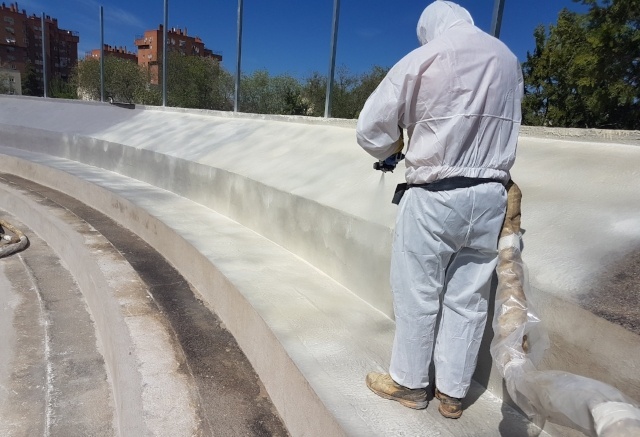 The constructive solution Urespray P-500 is based on an elastomeric system based on pure polyurea formed by the reaction of two liquid components (polyol and isocyanate) applied by mechanical projection and quick drying. Once applied, it generates a continuous and highly-resistant waterproofing coating. Its application by projection allows to cover areas in which the surface is irregular or areas of complicated geometry by forming a uniform film. Covers, roofs, terraces and balconies. Drinking water tanks (satisfactory migration tests in contact with water for human consumption are available). Green roofs (satisfactory roots resistance tests available). Polyurethane foams and expanded polystyrene. The absence of joints and unions. It has a uniform finish, so it generates a low-maintenance surface. The versatility of pure polyurea allows it to adapt to any surface or support, making it ideal for irregular areas. Adheres to any surface: cement, concrete, polyurethane, wood, metal, etc. It is a product of great hardness and resistance to wear. 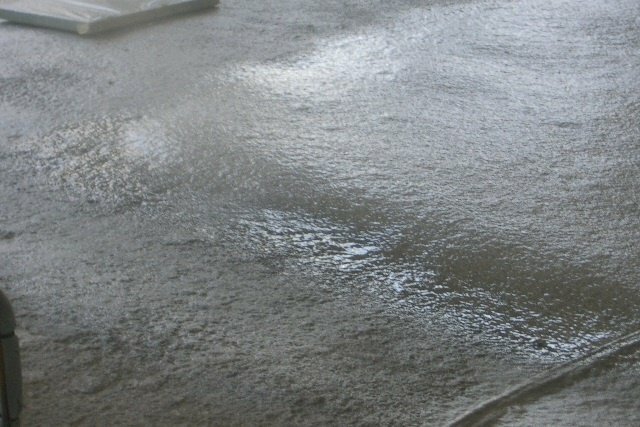 The rapid reaction of pure polyurea provides great stability as soon as it is installed: it can be walked through and guarantees the waterproofing properties in less than 3 hours, although its optimum conditions are reached in 24 hours. Once applied, it is characterized by great durability, being inert to changes in temperature and preserving its properties without breaking or deformation. Also, it is not affected by fuels, fertilizers or animal excrement. 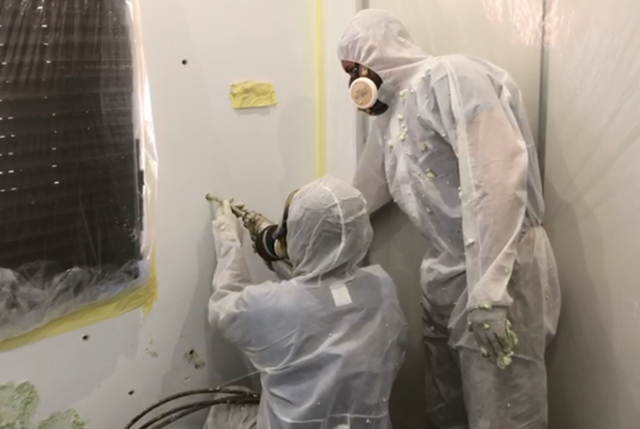 Urespray P-500 received the European Technical Assessment (ETA nº 16/0153), updated this year 2018 and granted by the Institute of Construction Sciences Eduardo Torroja. 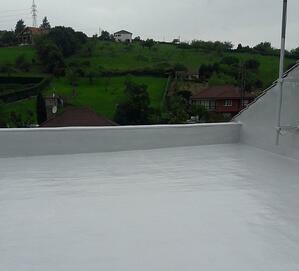 This waterproofing in pure polyurea is intended to waterproof covers against water. Once polymerized, it forms an elastic coating that forms a continuous layer and fully adhered to the support (either metal, concrete, mortar, ceramic or polyurethane foam). The minimum thickness of the applied and dry product should be 1.6 mm. The system has satisfactorily passed all the tests and evaluations carried out based on a useful estimate of 25 years (W3). It has been evaluated according to the European guidelines "Guideline for European Technical Approval of Liquid Applied Roof Waterproofing Kits (ETAG 005)" in relation to the essential characteristics applicable for its intended use. 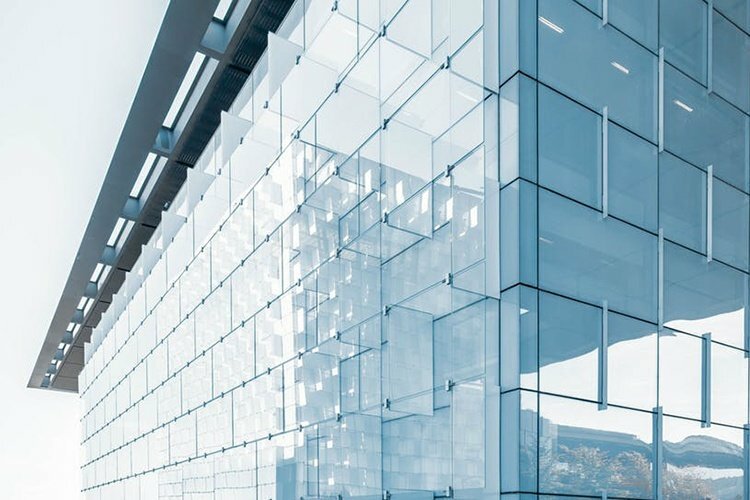 Resistance to high temperatures up to 90ºC (TH4) that guarantees its compliance to the intended use as an exposed system. Resistance to low temperatures up to -20ºC (TL3). 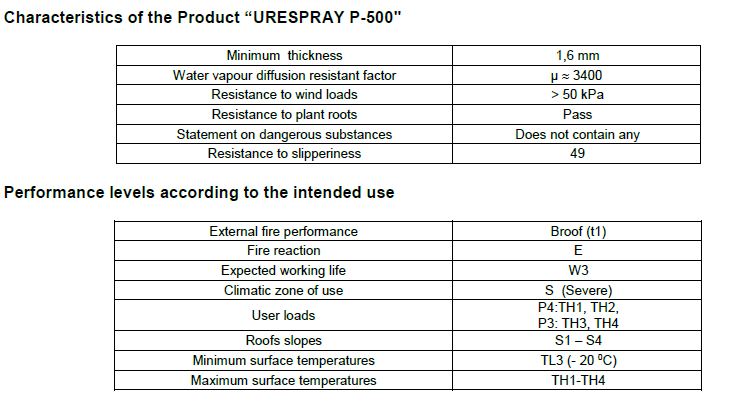 In addition, the Urespray P-500 system with AS ADDITIVE finish is classified as class 3 (Rd> 45) in terms of safety against the risk of falls, allowing its installation in humid indoor and outdoor areas.